If you have found yourself wishing you had a veteran homeschooler to mentor you, or a person that you could get lots of advice from that has ‘done the stuff’ for three (or six!) decades, look no further! 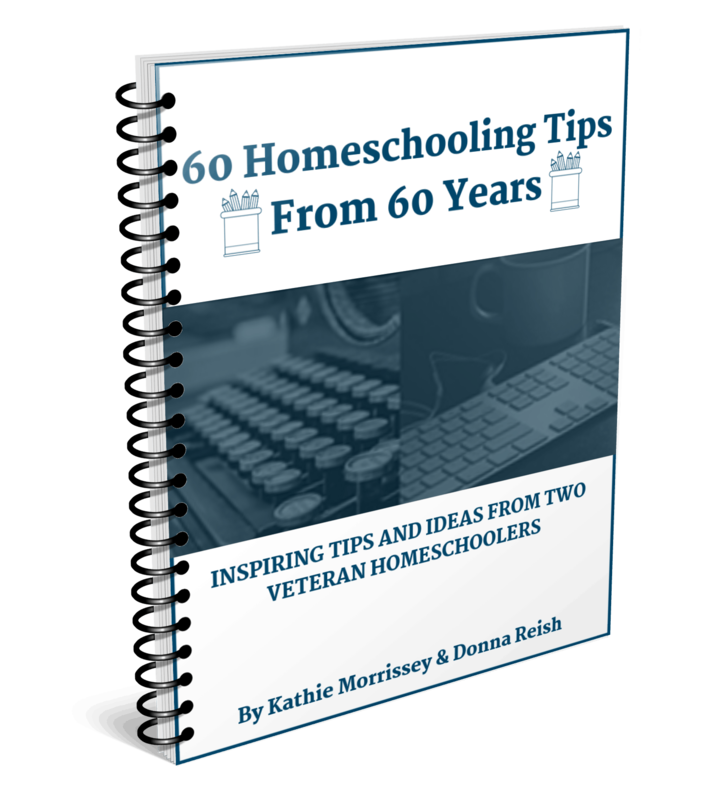 Our book, Sixty Homeschooling Tips From Sixty Years, gives sixty pieces of advice from two veteran homeschooling moms. For the homeschooling mom who is discouraged and feels like giving up, DON’T! Get advice and inspiration from two women who didn’t give up, but kept the homeschool light shining brightly in their homes for over thirty years each! Sixty Homeschooling Tips From Sixty Years will give you help with these areas and many more! If you have found yourself wishing you had a veteran homeschooler to mentor you, or a person that you could get lots of advice from that has ‘done the stuff’ for three (or six!) decades, look no further! Our book, Sixty Homeschooling Tips From Sixty Years, gives sixty (count ‘em, sixty!) pieces of advice from two veteran homeschooling moms.